Sunnymede is a hidden community with an atmosphere of simplistic calm. 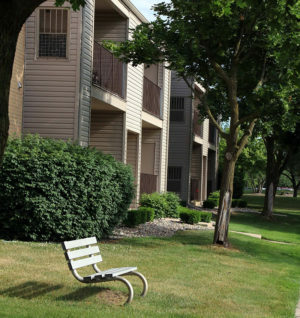 168 apartment homes ensure you receive more personal attention. We’re dedicated to our residents from the time you move in and throughout your stay at Sunnymede. Sunnymede Apartments is owned and operated by a company with over 3 generations in experience. The owners take pride in being actively involved in their apartment community. Our residents feel free to partake in the many activities offered at Sunnymede.